Toy Story is an Academy-award-winning CGI animated feature film produced by Pixar Animation Studios and released by Walt Disney Pictures and Buena Vista Distribution in the United States on November 22, 1995, and Australia on December 7, 1995, as well as in the United Kingdom on 22 March 1996. It was the first feature-length computer-animated film ever released, and was also Pixar's first feature-length production. It grossed $191,773,049 in the United States and it took in a grand total of $354,300,000 worldwide. 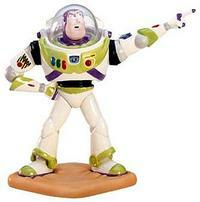 The primary characters are toys in the room of a nine year-old boy, Andy, and the film is mostly told from the toys' point of view. Remember every time you purchase Toy Story artwork over $995, shipping is FREE in the continental U.S. and there is NO SALES TAX when you purchase outside of Colorado. 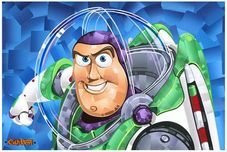 We SHIP WORLDWIDE and offer Layaway for Toy Story art.